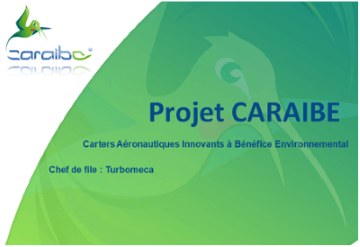 Thursday, April 3, saw the final meeting of the CARAIBE consortium project led by Turbomeca (SAFRAN Group) and involving partners such as AIRBUS Helicopters, LIEBHERR, Ventana Aerospace group and Infodream. The project has been focusing on aeronautical innovation and environmental benefit, specifically the development of material and manufacturing methods for using magnesium alloys in critical aerospace components. Magnesium alloys have the property of being highly resistant and very light, but require special attention regarding flammability and anti-corrosion treatment (hexavalent chromium) that is environmentally harmful. More generally, the CARAIBE project aimed to utilise and integrate digital modelling and analysis tools to drastically reduce the time required to develop, industrialise and validate the these new magnesium alloy products. One of the critical areas identified was the casting process. 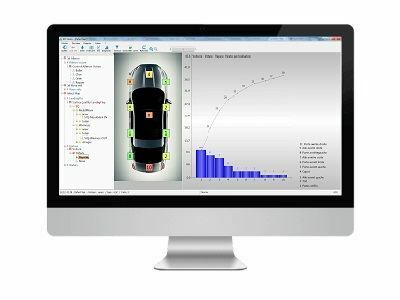 The manufacturing process is extremely operator dependent and the role of Infodream was to implement a statistical process control (SPC) methodology across the complete “casting process” and if required develop new features or new tools in our SPC Vision and Check’n Go software to provide the optimum solution. Indeed, controlling operator dependent processes (especially using traditional SPC methods) is inherently more difficult than for automated manufacturing methods so this was a very interesting and challenging project for us. Statistical Process Control (SPC) is based on stability and repeatability of the manufacturing process but the casting process has many variables which are not always stable and repeatable. 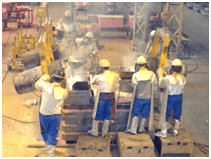 The sand based moulds are created and destroyed for each product manufactured and the operator skill, experience and individual methods have a big influence on the final product. Additionally, some of these variables are very difficult to track. Full manufacturing traceability is very important to help measure and understand the process. However, early in the process i.e. before the billet of metal is poured or flowed into the mould, the part does not physically exist i.e. it has no serial number or identification. Therefore, you have to find a way to attach and to group component identification to assure final traceability. Manufacture and measurement of certain items such as sand and resins are done in advance of the mould manufacturing but this information is needed when each mould is then made. In addition to the measurement data, other information such as batch numbers and manufacture time are extremely important so ensure shelf life and other process requirements are respected. Therefore a key part of the project was to be able to share critical data across the process. The same billet of metal can be used to manufacture several “small” pieces , while a large part will require several billets. It is therefore necessary to be able to have full traceability of raw material for each product. 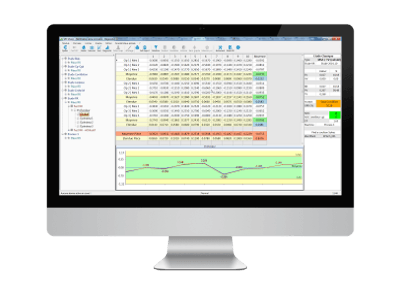 More generally, we have realised that using only traditional SPC monitoring (measuring product and process characteristics) would not in itself be enough to control the process effectively. 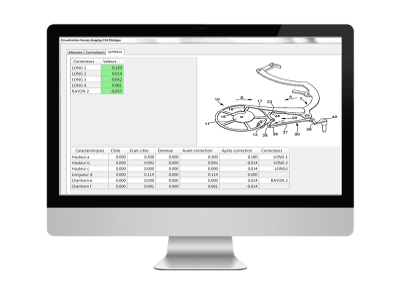 The high variability in the manufacturing methods and materials required a process control system which not only monitored product and process measurements but also controls the overall process more tightly. To do this, we used our Check’nGo software which provides clear step by step process plans, interactive operator working instructions, definition of resources and allows easy data input and capitalisation of manufacturing data. A key benefit of Check’n Go is to standardise manual working methods and hence reduce process variation between operators. Check’n go is a real time system and designed to be used by operators on the shopfloor so perfect for this application. Using Check’n Go, we also get full traceability of each step of the manufacturing process. The deployment of this project required a significant change of behaviour with changes in operator working methods and habits and also ownership of new tools (Tablet PC’s and Wi-Fi in the workshop). The results (will be reported at a later date) so far have been excellent demonstrated that it is indeed possible to create a process control system that drastically reduces both product and process variation resulting in a much higher process capability even on a manual process. Ventana Aerospace and Infodream group will continue to work together on this topic. The research project CARAIBE is fenced but the adventure continues…!